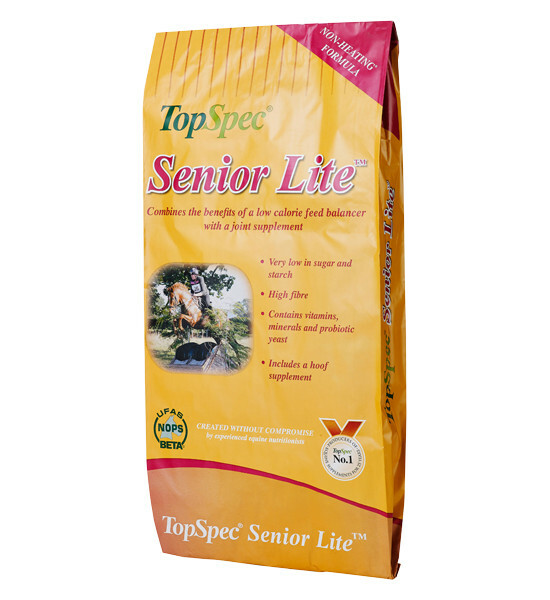 Top Spec Senior Lite Feed Balancer is a non-heating, highly palatable supplement which provides the digestive aids and micro-nutrient levels that are found in specialised, high quality supplements. It supplies your horse with the benefits of a low-calorie balancer and a joint supplement in a highly cost-effective way. There are currently no questions for Top Spec Senior Lite Feed Balancer for Horses - be the first to ask one!